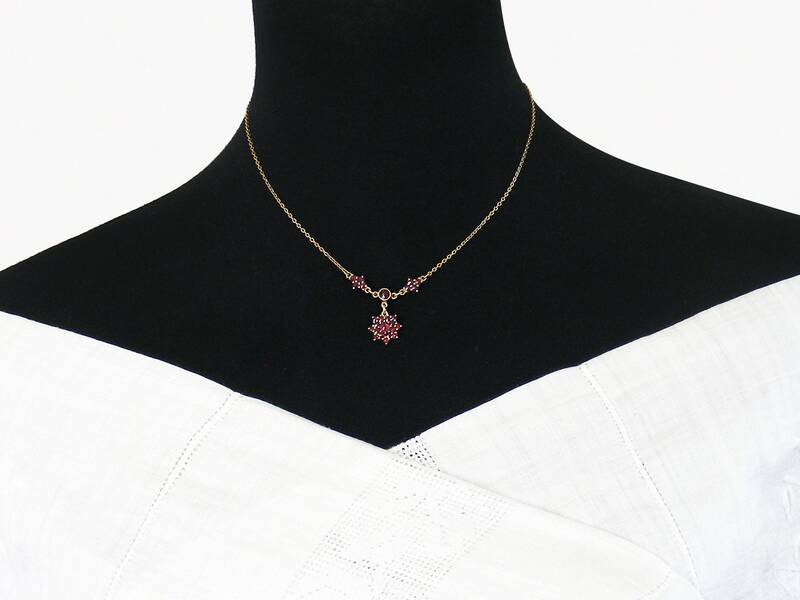 A dainty and feminine vintage necklace with rich crimson Bohemian Garnets layered in a gold washed sterling silver setting. The crisply faceted pyrope garnets are a luscious crimson red, the focal is a multi-pointed starburst with smaller stones wreathed around a raised central stone. 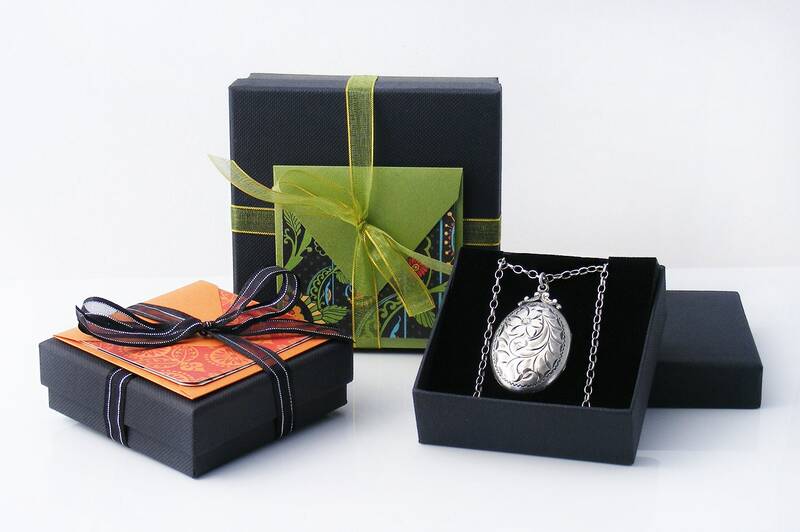 Above that a larger collar set stone is suspended from quatrefoil setting on each side. Well-made and gorgeous to see, this is a very pretty vintage piece. The setting is unmarked but testing positively for the classic 'garnet gold' which is a gold wash over 925 sterling silver. 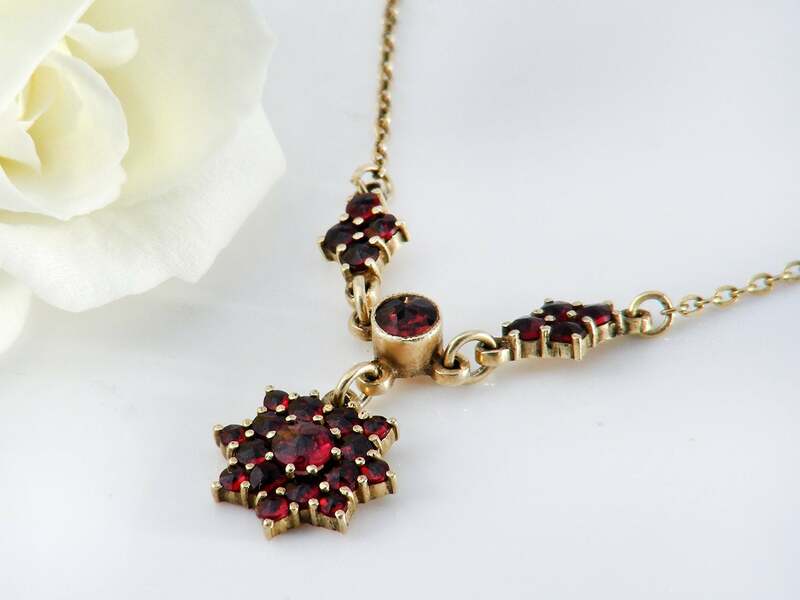 The necklace is from the Czech Republic and the garnets are pyrope garnets, known as Bohemian Garnets as the country of origin was once known as Bohemia. 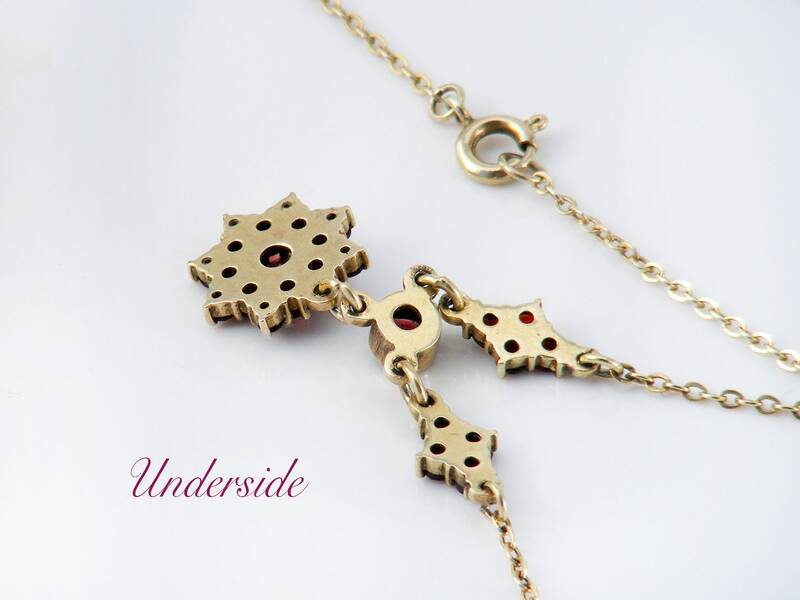 The 'starburst' drop measures .5 inches or 12mm diameter, the large central garnet is 4.5mm and the width of the garnet portion of the chain is 35mm. Condition: Excellent, no issues at all. The stones are all present and lovely with no chips. 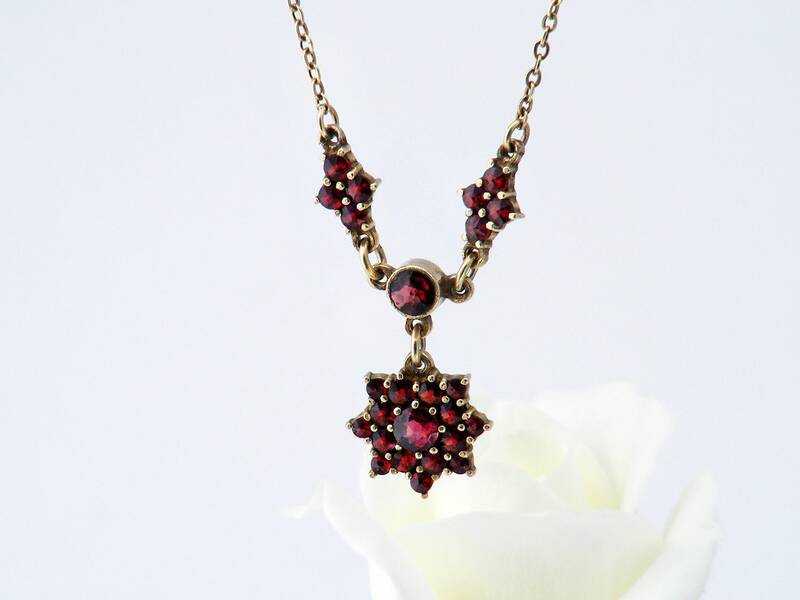 A richly textured necklace that is elegant and feminine - the stones just glow with the rich red typical of Bohemian garnets.